Sandal weather is almost upon us and if your feet are looking a little… hobbit-y, it’s time to head for a pedi. We don’t trust just anyone to maintain our talons and trotters, and neither should you. Here are the best nail salons in Vancouver when you need a mani/pedi, tried and tested by our friends and us. Bling Nail Studio comes highly recommended for its ultra-blingy nails, but this salon can also do subtle: it’s known for flawless gel polish application – smooth, shiny and extremely long-lasting. “Amazing” was the word used to describe this swanky spa, which also offers facials, massage, scrubs and acupuncture. It doesn’t offer gel or shellac, just regular polish from 3-free brand Zoya. It’s not cheap and cheerful – more somewhere to head for a treat – but is a lovely calm spot amid the bustle of Granville Street. This spot is just a few blocks up from Commercial–Broadway SkyTrain station. Clean and comfy, it does all kinds of manis and pedis, including some truly blingy nail art. Most salons expect you to know exactly what you want when you step in the door. This place will make recommendations and give advice based on your personal style and nail condition. Meticulous (don’t expect a fast job), your polish will look great for weeks. How to book: Phone 604-764-6452, email [email protected] or book online. You can get virtually every colour imaginable at this studio, which uses brands like Butter London, OPI and Essie. Bonus: It’s above Beautymark, the specialist beauty retailer that carries cult favourites like Leaves of Trees and RMS Beauty. Right beside it is Collective Skincare, which offers waxing, facials and cosmetic acupuncture. As much as we’d like to, we don’t always have time to linger in the nail salon. This place is fast, though not fancy, does a good job, and you don’t usually need to make an appointment. 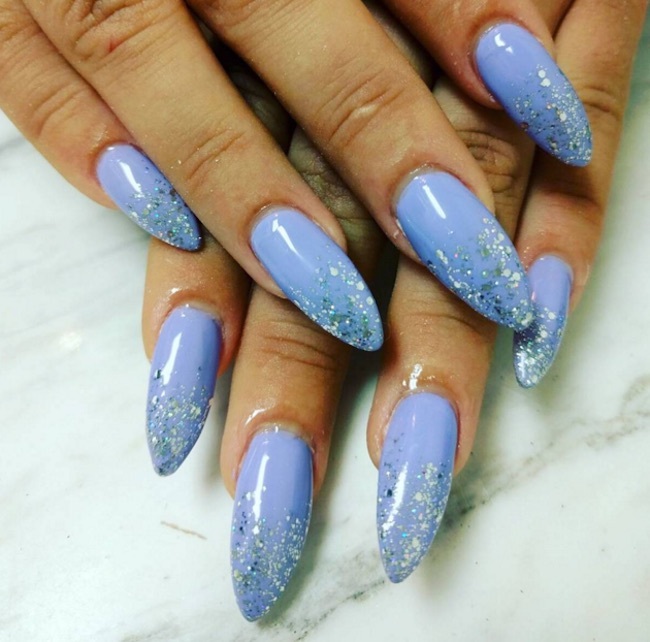 The only CND-exclusive salon in the Lower Mainland, this location has a boudoir-inspired design, and the walls are decorated with inspiring quotes by strong women. 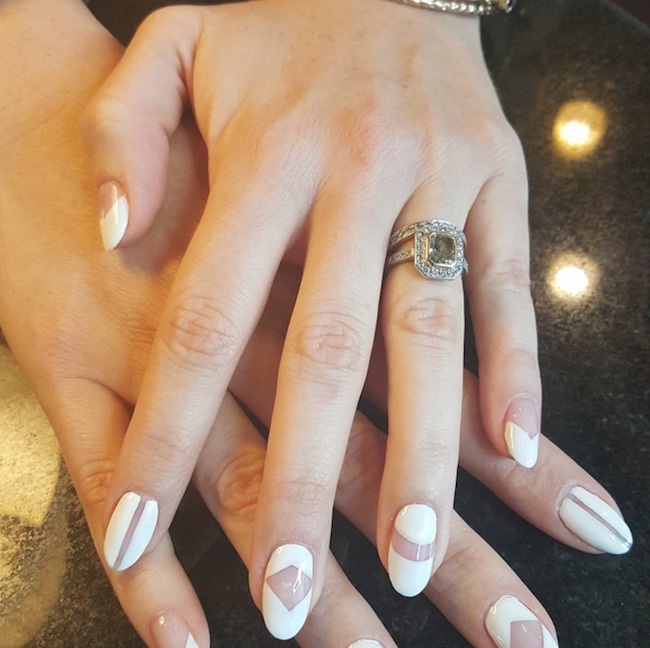 Owner and founder Linda Trang Ly persuaded us to have nail art for the first time (a tasteful geometric design) and they looked awesome. For hygiene purposes, each client gets a new nail file and you can take it home after your appointment if you like. 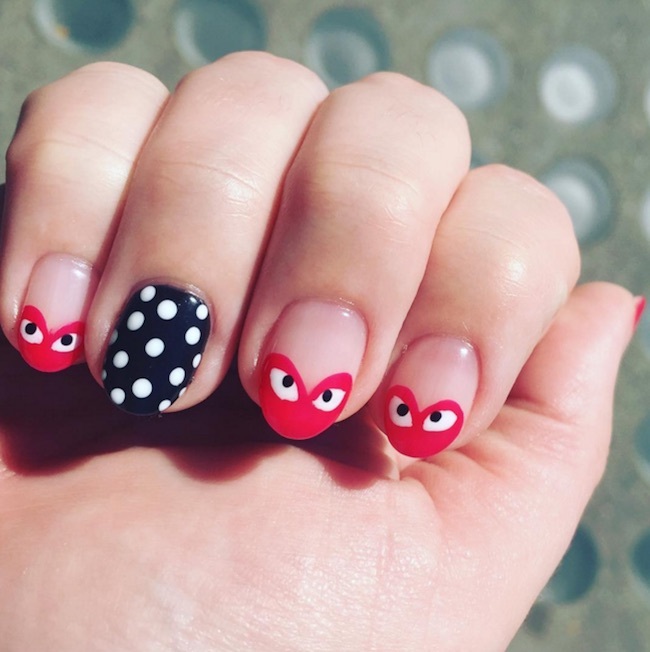 If we want a pampering nail treat, we head straight to this Kits staple. Tranquil, with a proper spa atmosphere, it’s not a bargain, but you’re paying for the customer service, attention to detail and luxe environment. How much: $35 for a mani and $65 for a pedi (includes polish or massage or paraffin). We love this salon for both hair and nails. You can’t get regular polish – only Shellac and Gelish. 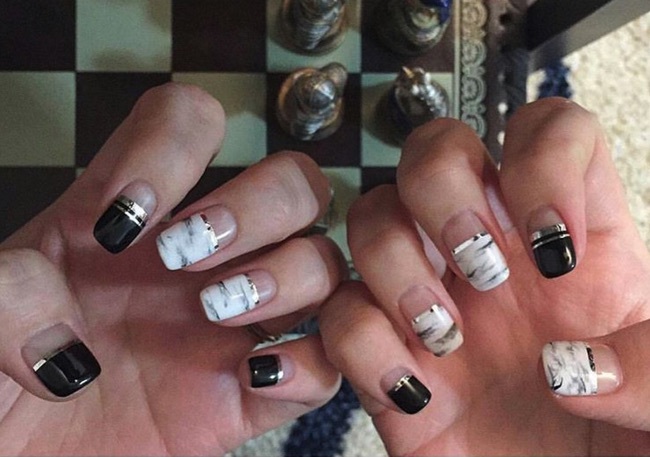 Nail art is excellent, and technicians will do manis/pedis while you’re having your hair done. This studio uses only non-toxic polishes (there are around 350 colours to choose from) and also has its own line of organic, all-natural body-care products. Service is friendly, the decor is chic, and nail art designs are runway-fresh – think gradient colour and negative space. How to book: Email [email protected]joyridevancouver.com, call 778-379-7433 or book online. Reliable and reasonably priced, KitsilaNails offers the full range of nail services, plus facials, eyebrow/lash tinting and lash extensions. Lots of colour choice, and they can usually take walk-ins or do same-day appointments. There are two locations – West 4th and West 10th – but we like the West 4th best. This is not a chi-chi downtown salon, but when you can get a lasting gel mani in a clean environment for just $30 (including taxes), who cares? The salon also offers facials using Maria Galland products, and waxing and lash-tinting too. Get just about any kind of design at this small studio run by Japanese nail artist Yasushi Arakawa, who has won umpteen awards for his work. Expect precision, quality (manis and pedis last and last) and good customer service. There’s also a hair salon offering Japanese perms and straightening treatments. 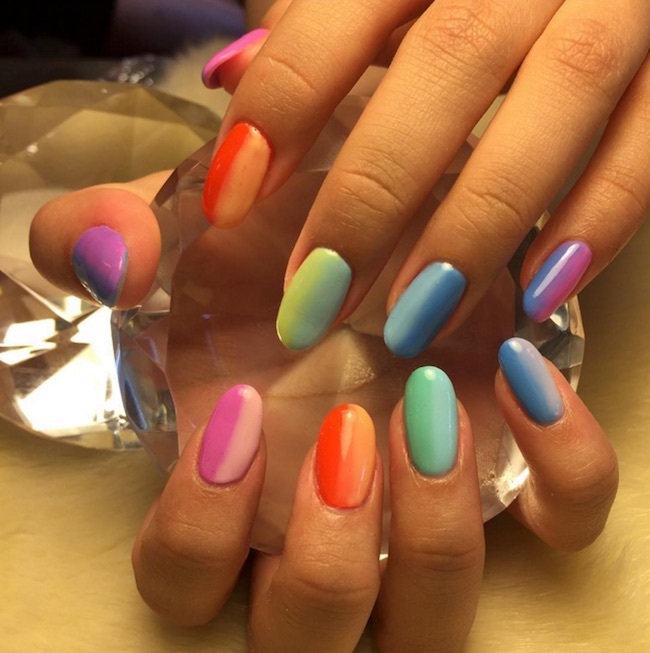 How much: $25 for a basic manicure and $36 for a basic pedicure. If you’ve got more dead skin than Buffalo Bill, a regular pedi isn’t going to do much. Spa Diva offers medi-pedi services that can address problems like calluses and cracks, as well as ingrown toenails and fungal infections. There’s also reflexology as well as regular manis and pedis. How much: $20 for an express mani and $45 for an express pedi. This recently renovated spot offers great manis and pedis, and your gel polish will last you up to three weeks. It offers waxing as well as nail services. We’ve only tried the original Homer Street location but there’s also a new outlet at Pacific Street. How much: $20 for a quick mani and $35 for a quick pedi. Possibly the cheapest nail salon in Yaletown, which explains why it’s so busy. Great service, long-lasting results and a warm and friendly atmosphere. How much: $15 for an express mani and $25 for an express pedi. Full mani/pedi combo at $42. You get a great mani/pedi here – we only changed the (regular) polish on our toes because it started to grow out. The team is super-friendly too – when we visited, the owner was celebrating her birthday, so there was cake for everyone. All the salons listed here are clean and hygienic, but this place goes the extra mile. Implements that can’t be sterilized are used only once and staff wear disposable gloves for pedis. There are no spa chairs or whirlpool footbaths because they’re said to be breeding grounds for bacteria, and pedi sinks are disinfected after every use. On top of that, they offer excellent manis and pedis, and Netflix in every room. And then there’s the complimentary toe-wax with every pedi. How much: $22 for a quickie mani and $38 for a quick pedi. If you’re from North Van, you probably already know this spot. Known for its cleanliness, friendliness, and high-quality service, the salon also does waxing, lashes, and permanent makeup for brows, as well as eyeliner. How much: $18 for a full mani and $30 for a full pedi. A West Van staple, this place is known for extremely friendly service and attention to detail. It’s extremely popular, so you might need to make an appointment or wait. They are not associated with the North Van location of the same name (which we haven’t tried).